In case anyone is about to turn their nose up at the thought of tofu, let me tell you that before I tried this dish, inspired by Yotam Ottolenghi, I never really cared for it either. It seemed a bit…well…bland and boring, probably the sort of thing that someone who doesn’t really like food would eat. However, since my good friend introduced me to this recipe, I love tofu – I believe it absorbs flavours far more than meat. This meal is one of the most flavoursome treats you will devour and, in my view, it beats a chinese takeaway anytime. Far cheaper too, so happy days all round. 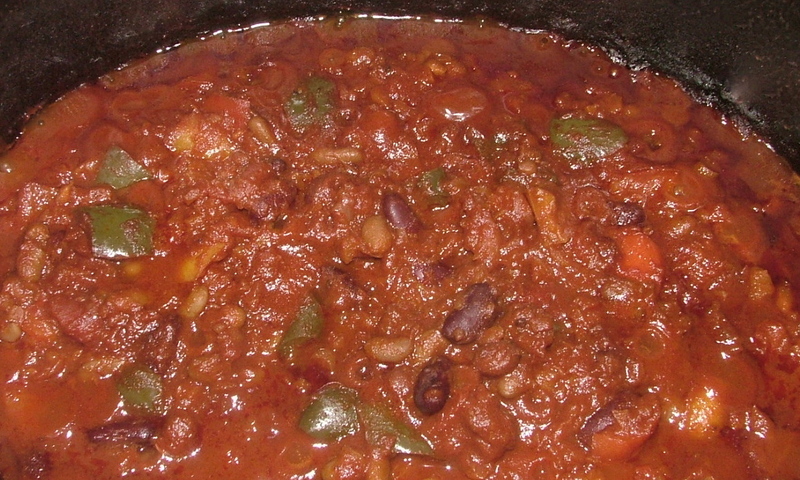 I have adapted this recipe as, despite being a chilli fan, the original was too hot – even for me. This meal is vegetarian without trying. Replace the butter with 2 tablespoons of sunflower oil and it can be vegan too. Some of the ingredients may not be in your store cupboard so I have offered some substitute ideas, however you will get a better result if you use the ingredients listed. 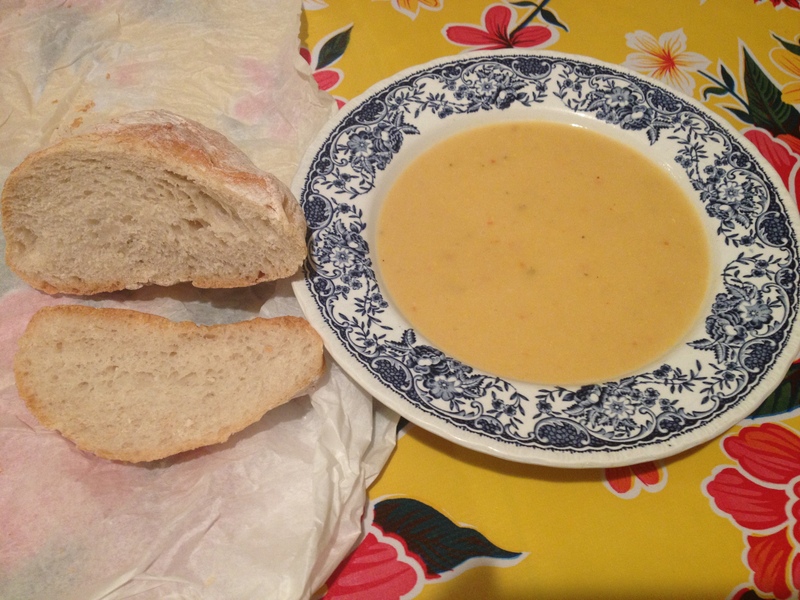 I have also adapted the recipe to make it a bit less faffy than the original. First open and drain the tofu. Wrap it in kitchen roll and place it on a clean tea towel. Put a chopping board on top of it. Place some full tins, or anything heavy you have lying around, on the chopping board to weigh it down. This method is called pressing – it makes the tofu firmer and easier to handle. The longer you leave it, the easier the tofu will be to handle. I usually do this a few hours before I plan to make the dish. When you are ready the meal take the shallots, garlic, chilli and ginger and chop very finely. I use my food processor to make this part less time consuming. If you have one, I would recommend you do this too. Heat the butter in a wok or frying pan and add the chopped up veg. Reduce the heat at let this cook for about 15 minutes stirring occassionally until the veg is very soft and translucent. 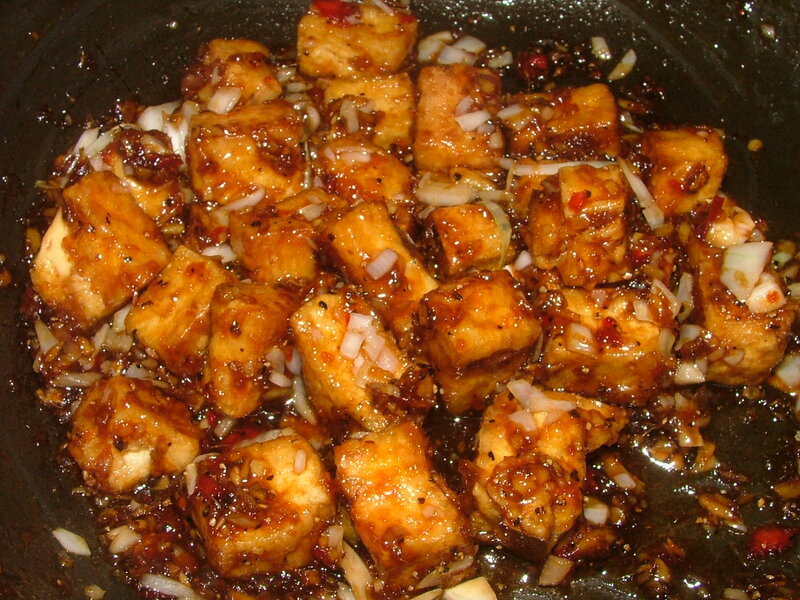 When the oil is sizzling hot , turn it down to a medium heat, then add the tofu. Add the three types of soy sauce and sugar to the transluscent veg mix. Allow the suar to melt and the ingredients to bubble. Next add the pepper and stir well. This dish should not require salt as the soy sauce is salty enough. Chop onion, garlic, celery and carrots finely. I use my food processor, but you could grate or just chop as small as possible. The aim with this is to bulk the dish out and give it flavour. Chunky veg is a no. At this point I either: transfer to a slow cooker for several hours, transfer to an over proof dish and cook on gas mark 7 for about 90 minutes, cook on the hob on a low hear for 90 minutes.